HP Envy 4501 e-All-in-One Inkjet Printer On Rollback For $49 + FREE Store Pickup (Reg. $100)! You are here: Home / Great Deals / HP Envy 4501 e-All-in-One Inkjet Printer On Rollback For $49 + FREE Store Pickup (Reg. $100)! Looking for a compatible printer to print your coupons with from your Apple wifi device? 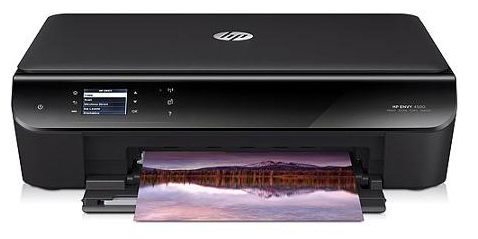 Then check out this HP Envy 4501 e-All-in-One Inkjet Printer On Rollback For Only $49 + FREE Store Pickup (Reg. $100) if available in your area! As of right now, HP printers is the only brand that prints certain coupons from your iPhone and iPad, etc. Grab it now at this incredibly low price!